this is a wallpaper made with a minitokyo scan, please enjoy! this isn't my first wallpaper and i don't have a photoshop software, but i think that is pretty good in this condition. Have a balance color and harmony. Wow! I like this wallpaper! He is so handsome! It is really a very beautiful image! A very lovely image. He looks wonderful there. Hijikata looks really pretty with his hair down:~) Very beautiful! 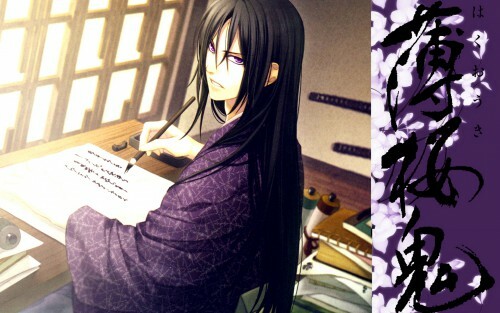 I love Hijikata, definitely place them so you get looks handsome, thanks for the wallpaper, this great! is that boy or girl? Wow I love it! Thanks for sharing.